Branded environments for a medical trials facility must communicate professionalism, leadership, and trustworthiness to staff, patients, clients, and visitors. For nearly a decade, High Point Clinical Trials has establish itself as an industry leader but after a recent rebranding effort, the company consulted with Holt Environment to re-imagine their 46,000 square foot corporate facility. Ultimately, High Point wanted to define each section of its facility including the reception and arrival area, client training room, employee and contractor work spaces, and the patient clinic while maintaining an overall cohesive aesthetic. 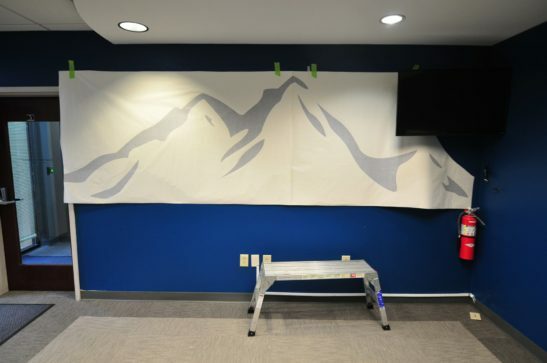 With our top-level corporate interior design services, High Point chose brand-compliant colors for the walls of the reception area where a logo was added to highlight the recent rebrand campaign. After procuring new seating options to offer those waiting for appointments, a more contemporary flooring design was installed to tie the entire clinical trials space together. 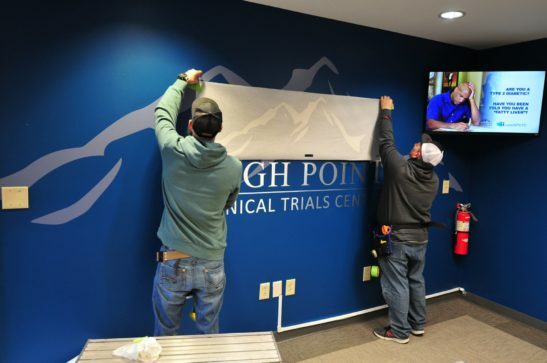 Due to their busy clinical trials schedule, High Point Clinical Trials plans to rollout additional designed improvements to the other sectors of their campus in the future when time permits.